The SECO Thumb Release Open Clamp Bipod allows the user to simply clamp the pole into place without lifting and threading it through the bipod head! Within seconds the operator can set up a free standing GPS antenna pole or prism pole. 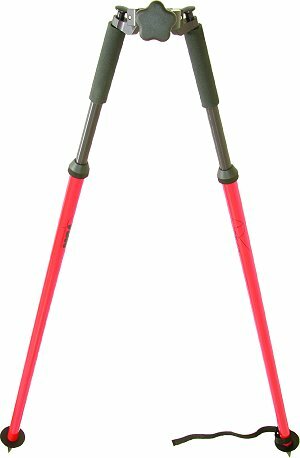 SECO created the Thumb Release bipod and tripod concept. Go with the original! Note: 1-to-1.25 inch (25-to-32 mm) Outside Diameter poles attach from the side. 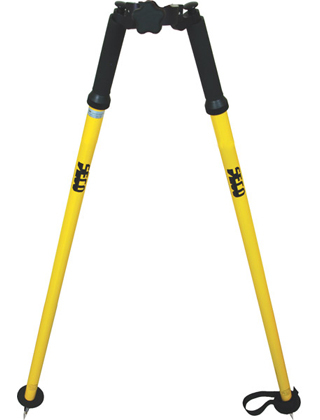 1.5-inch (38-mm) poles fit through the top only. Weighs 4 lb (1.8 kg). Includes Limited Lifetime Manufacturers Warranty.